David Berlinski has brilliantly resolved the sovereign conundrum of his existence: How can he remain modest while being the smartest member of an anti-intellectual cult? His elegant solution is to not even try. Another effortless triumph! Christopher Hitchens's reputation rests on his literary works, his panache as a public speaker, and on his defiant atheism. He wrote on a very wide range of subjects, and his book reviews were often very fine. He liked to praise the writers and poets he loved: Oscar Wilde, Vladimir Nabokov, Evelyn Waugh, W.H. Auden, Wilfred Owen, James Fenton, many others. He read closely and he read well. 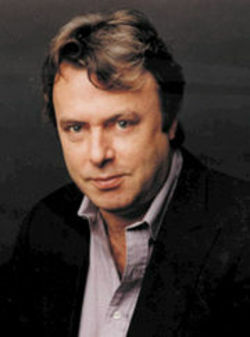 As an essayist, Christopher Hitchens is often compared to George Orwell. The comparison is careless, and it is one that in his final interview with Richard Dawkins, he rejected. Hitchens wrote fluently, Orwell, unforgettably. The difference is very considerable, but it is not to Hitchens's discredit. No man is obliged to be what he might have been. Hitchens was an engaging public speaker, and he had the gift of gracefully holding an audience. His intimate interviews were often wonderful because invariably, he was more elegant and far more articulate than his interlocutors. When faced with a rhetorical bruiser like George Galloway, his natural register failed him, and he did not have the dexterity to secure by means of an ironical divagation what he was otherwise unable to secure by matching bruise to bruise. With the publication of God Is Not Great, Christopher Hitchens reached a mass audience. He became celebrated. When he discovered how well he had been received by the public, he tended to regard his own religious beliefs with the indulgence of a man who on discovering that he has been lucky in attracting admirers very naturally concludes that he has been justified in attracting them. His atheism nonetheless had a kind of shambling boisterousness that made Christopher Hitchens seem a Mirabeau to Richard Dawkins's Saint Just [sic] or Sam Harris's Robespierre. Hitchens was uninterested in subtle analysis. On the masthead of the Daily Hitchens, there is the legend: What can be asserted without proof can be dismissed without proof. The difficulty with this assertion is straightforward. 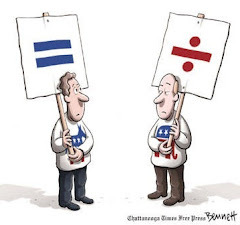 If it has been asserted without proof, why should it be believed, and if not, where is the proof? Oh, that Hitchens! Such a sly boots, and yet hoist by his own petard when caught making a statement without proof about statements without proof. Sneaky, clever Berlinski, to catch him out like that! It was also wise of Berlinski, who routinely plays the part of a math expert, to refrain from making the obvious point that every theoretical discussion must begin with unproven axioms at its foundation. Ceding this point to Hitchens would have deflated Berlinski's elegant gotcha. How unfortunate that Hitchens neglected to cringe in humiliation at Berlinski's sly riposte. Christopher Hitchens found objectionable the very idea of a source of authority, and so of power, greater than his own. This has seemed to some of his readers all of the time, and all of his readers some of the time, both defiant and uplifting. The very same idea is at work in the terrible crimes of the twentieth century. It is inseparable from them. I hasten to point out that Berlinski is not running afoul of Godwin's law here. Our elegant elegist deftly ducked this faux pas by not elucidating the nature of the twentieth century's terrible crimes. Hitler is only implied. We all understand perfectly well that Hitchens would never have supported Hitler—that is, of course, if he had only possessed the wit to realize that “the very same idea” of disdaining an ultimate authority is “inseparable” from campaigns of mass murder. At least, that's one way to read Berlinski's prolix paragraph. Antecedents are difficult to pin down. (Does “the very same idea” refer to “the very idea of a source of authority” or the notion that this source itself was “objectionable”?) One of the glories of his prose is that the author will be on a firm footing if he objects to this characterization on the grounds that the sentences are ambiguous and subject to many (and divergent) interpretations. Christopher Hitchens chose to greet death publicly. Had he thought of it, he might well have invited an orchestra. We signed books together after our appearance in Birmingham, and to admirers on his very long line inquiring after his health, Hitchens replied that he was dying. It was a response that inevitably took his interlocutor aback, the more so since it was true. I followed his interviews and read his essays about cancer and death. I found them moving. But they do not evoke the man. And neither does Berlinski's supposed encomium. 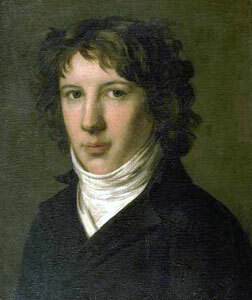 Well, somebody had to be Robespierre—and Berlinski didn't think of PZ. As opposed to "Gauche Adroitness," may one presume? "Hitchens's reputation rests on his literary works, his panache as a public speaker, and on his defiant atheism"
Never mind Saint-Just; this bozo can't master an elementary parallel construction in his native language. I can't speak as an expert in math, but I'd sure never hire such a person for a programming job. How very unkind of you, Porlock Junior. When you do your writing with a thesaurus and a trowel, it's all too easy to miss some of the fine points! A thesaurus and a trowel? With due credit, of course.